Artificial Intelligence is on the rise in an effort to make companies and technology as efficient as possible; however, that doesn’t mean that we can’t also have a little fun with it! Here is a glimpse into some platforms that are using AI for rankings, gaming, and as useful generators. Logo Rank knows logos. The site uses artificial intelligence to scan their database of millions of logos in order to provide feedback on your own. According to their site, “It can also be used to see if your designer took inspiration from stock icons.” Think Turnitin for images. Simply upload a supported file and the system will rank your logo based on uniqueness, legibility, and color/contrast. Lastly, it will give you an overall score in comparison to other successful, recognizable logos in today’s market. This one is purely just for fun. Sponsored by Google, Quick, Draw! gives you an object to draw in under twenty seconds with your cursor. 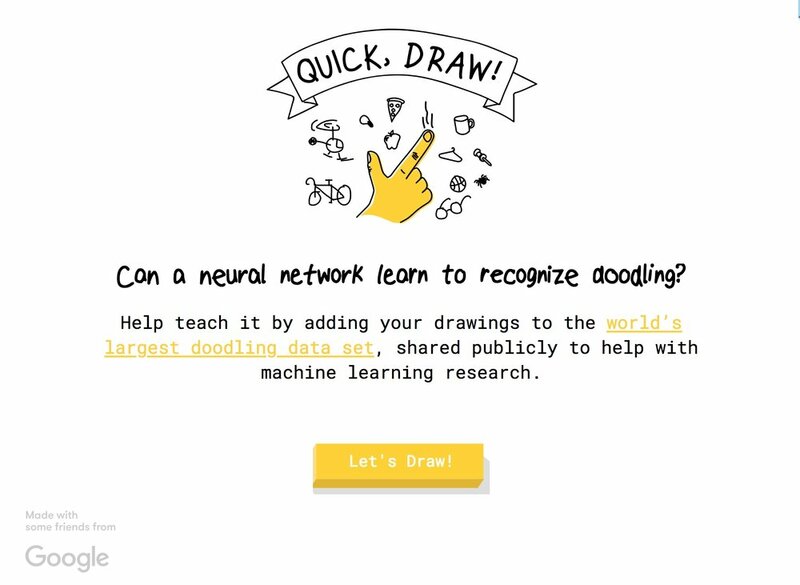 Their artificial intelligence guesses what the drawing is. As mentioned on their site, over fifteen-million people have played, enhancing the program’s ability to guess users’ drawings over time. Their platform description also states, “These doodles are a unique data set that can help developers train new neural networks, help researchers see patterns in how people around the world draw and help artists create things we haven’t begun to think of.” They’ve gathered the drawings of these ordinary objects into a collection (such as a calculator or a water hydrant) making this a hub for how individuals around the world see these objects in doodle-form. What other AI trends are you seeing online that are useful for businesses or just created for fun? Comment below.